The critically acclaimed show, Wars of the Roses Live returns with even more stunts, tricks and dates. 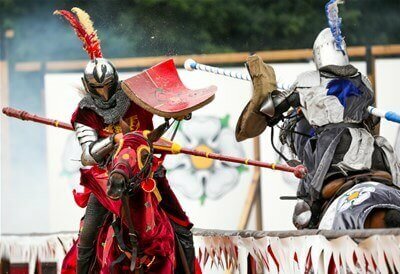 Marvel as the legendary Wars of the Roses unfolds before you during an epic live action show at Warwick Castle. Experience a spectacle never before seen in the UK, complete with perilous stunt riders, fearless jousting and state of the art special effects!